Yesterday NASA announced its ambition to launch astronauts into space from American soil by 2017, and here the Government is currently assessing eight potential sites – including one in Cornwall – to be a UK spaceport by 2018. This nationalistic view of launch pads got me wondering about what the UK has previously launched in space and crucially, where from? Under the United Nations Convention on the Registration of Space Objects 1976 a country is deemed to have launched something into space if it does so from its own soil, or it organises someone else to launch it on its behalf. This convention also places obligations on each signatory country, and the UK is one, to make information about all such launches readily available. Details are on the UN website, and in June the UK Space Agency released the UK Registry of Outer Space Objects which makes interesting reading. According to these sources the UK has launched 67 objects, mostly satellites, into space, beginning in April 1962 with the Ariel 1 satellite. 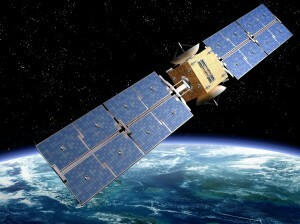 At the time, the United Kingdom was the third country to operate a satellite, after the Soviet Union and the USA. Sadly Ariel 1 had a short four month operational lifespan as it was damaged by the Starfish Prime high-altitude nuclear test. Of all the UK’s launches 63% are still operational; a further 22% are in orbit, but non-operational; while the remaining 15% have decayed and returned to earth. Ariel 1 was launched from the Cape Canaveral Air Force Station and since then another 17 launches have occurred from American soil, although the most popular UK launch site is French Guiana spaceport with 30 launches. We’ve also launched from Kazakhstan, Russia, Australia, India, Kenya and one even from a floating platform in the Pacific Ocean. We’ve not launched objects every year; our last fallow year was 2004 and 2013 was the most prolific year with eight launches. Perhaps unsurprisingly a third of the satellites have been launched for telecommunications purposes, with another 18% for military communications. The vast majority of the remainder are for scientific, technological or engineering research purposes. Of the current operational satellites, 56% are in geosynchronous orbits, 30% in low earth orbits and the remaining 14% in medium earth orbits. This doesn’t give quite the full picture of the UK’s space activities. There are an additional forty five satellites where the UK was not the launching country, but has issued an Outer Space Licence (described in our recent blog) which are listed in the Supplementary Registry of Space Objects on the UK Space Agency website. The UK has a significant, and growing space sector, and who knows in a few years we may see satellites launched from our shores in Cornwall, Wales or Scotland. Exciting times ahead! This entry was posted in NASA, Satellite communications, Satellite Telecommunications, Space Industry, Understanding Space and tagged Ariel 1, Cornwall spaceport, NASA, Registry of Outer Space Objects, Satellites, Space, spaceport, Supplementary Registry of Outer Space Objects, UK, UK Space Agency, United Nations Convention on the Registration of Space Objects by Andy. Bookmark the permalink.